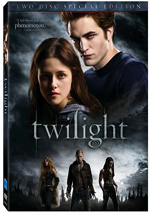 To the thrill of 12-year-old girls all over the world, the Twilight franchise continues with 2010’s Eclipse. When last seen, teen drama queen Bella Swan (Kristen Stewart) found herself back with her soulless mate Edward Cullen (Robert Pattinson). He wants her to marry him, while she wants him to turn her into a vampire. He agrees to do so, but only if they get hitched. Bella doesn’t think much of matrimony, so she resists Jacob’s proposal. Bella’s dad (Billy Burke) punishes her for behavior in the last flick, but he says he’ll loosen up if she obsesses less over Edward and spends time with other friends like Jacob Black (Taylor Lautner). However, he remains miffed at her as well, so this is easier said than done. Eventually Jacob comes back to her and he ups the ante, as he makes his love for her better known. Probably the biggest problem with the Twilight films stems from their split personality. On one hand, they’re basic soap opera romantic triangle tales, but on the other, they want to be supernatural action flicks as well. That bifurcated nature causes a rift that the movies can never fit together in a particularly satisfying manner. I suspect that these movies maintain such a loyal female fan base because they accentuate the romance over the action. As a man – a damned manly one, at that! – I think this is the factor that makes it tough for me to invest in the tales, though I actually liked the relationship aspects of Twilight best. I felt the first movie developed the characters in a satisfying way and created something intriguing and unusual whereas its action scenes were perfunctory at best. Unfortunately, New Moon killed any momentum and became the worst of both worlds. The relationship sequences stalled, mostly because there was no heat from boring Jacob, the third side of the love triangle. The action sequences remained lackluster – and infrequent as well, so any spice that might’ve added was too little, too late. As with the first movies, this one stayed with a restricted palette. Like New Moon, Eclipse tended to be a bit warmer than the bluish Twilight, but it still didn’t exhibit a broad range of tones. Also like its predecessors, though, the tones appeared positive within their constraints. Blacks were decent; I thought they could’ve been richer, but they were fine. Shadows were about the same, as low-light shots offered acceptable to good delineation but never quite excelled. Even with those minor complaints, this remained a satisfying image that merited a “B+”. When we shift to the set’s extras, we open with two separate audio commentaries. The first comes from actors Kristen Stewart and Robert Pattinson. Both sit together for this running, screen-specific look at… well, not much. They talk a little about their experiences during the shoot, but they don’t dig into too many substantial subjects. Indeed, at times it seems like they’re more interested in discussing various fast food hamburger joints than anything else. We get a fair amount of dead air, and when Pattinson and Stewart do chat, their remarks tend to be forgettable at best, inane at worst. This ends up as a pretty useless track. For the second commentary, we hear from author Stephenie Meyer and producer Wyck Godfrey. They also offer a running, screen-specific discussion of story/character areas, sets and locations, cast and performances, stunts and effects, music, and comparisons with the books. While much better than the actors’ commentary, this one never feels especially substantial. I do like the moments during which Meyer talks about changes from the novels and gets into the franchise’s mythology, and we find a decent level of information about the movie. Nonetheless, the participants tend to joke around an awful lot and I don’t feel like the track gives us a great look at the filmmaking processes. It’s an average commentary. Next comes a six-part documentary called The Making of The Twilight Saga: Eclipse. It runs one hour, 28 minutes and provides notes from Godfrey, Meyer, Stewart, Pattinson, director David Slade, fight coordinator Jonathan Eusebio, visual effects supervisor Kevin Tod Haug, co-producer Bill Bannerman, production designer Paul Denham Austerberry, co-prop master Nevin Swain, screenwriter Melissa Rosenberg, director’s assistant Tessa Kovach, 2nd unit visual effects supervisor James Tichenor, stunt coordinator John Stoneham, Jr., Image Engine visual effects supervisor Jon Cowley, Image Engine visual effects plate supervisor Robin Hackl, Image Engine visual effects executive producer Shawn Walsh, senior VFX supervisor Phil Tippett, animation supervisor Tom Gibbons, Tippett Studios VFX supervisor Eric Leven, Tippett Studios VFX producer Ken Kokka, art director Nate Fregenburg, CG supervisor Aharon Bourland, Tippett Studios VFX reference supervisor Devin Breese, Image Engine digital production supervisor Peter Muyzers, and actors Taylor Lautner, Anna Kendrick, Xavier Samuel, Jackson Rathbone, Christian Serratos, Michael Welch, Peter Facinelli, Ashley Greene, Kellan Lutz, Elizabeth Reaser, Bryce Dallas Howard, Nikki Reed, Jack Huston, Daniel Cudmore, Julia Jones, Charlie Bewley, Jodelle Ferland, Justin Chon, Alex Meraz, Tinsel Korey, Bronson Pelletier, Tyson Houseman, Kiowa Gordon, Dakota Fanning, and Cameron Bright. Note that you can watch “Making” either on its own or as a picture-in-picture accompaniment to the movie. I chose the former, but I think it’s nice that the disc gives you the other option. 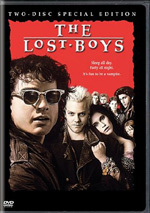 The disc includes two Deleted Scenes and six Extended Scenes. All together, these fill a total of 12 minutes, 33 seconds. For the deleted scenes, we find “It’s Not Life or Death” (2:09) and “I Can’t Wait to See What You’re Going to Do Next” (0:53). The extended segments cover “Just Keep the Window Closed” (0:45), “From Now On I’m Switzerland” (1:15), “Someone’s Creating an Army” (2:05), “Bella, I Envy You” (2:01), “What Did I Say About a Low Profile?” (1:20) and “Jacob’s Thoughts Are Pretty Loud” (1:12). The two deleted scenes are moderately interesting, if just because they give some supporting characters a little more screentime; they don’t really deliver much in terms of story, though. As for the extended bits, they offer minor additions that feel unnecessary. We can view these with or without commentary from Slade. (This option adds other footage of the director that pads the total to 14:29.) He provides some insights about the shoot and why he eliminated the sequences. Slade proves to be insightful and interesting; it’s too bad he didn’t record a full commentary for the movie itself. An unusual “chapter search”-style feature called Jump to… gives fans additional options. It lets you skip ahead to scenes that focus on different characters/circumstances. You can “jump to” segments with Edward, Jacob, the love triangle, the Cullens, the wolfpack, the humans, Victoria’s army and/or action sequences. I don’t know how much use this will get, but it’s an interesting concept. A Photo Gallery provides a mix of stills. We find 51 images from the shoot here, and they can be accessed in two different ways. If left on their own, they’ll run as a slideshow; in addition, you can flip among thumbnail images at the top of the screen and select the shot you want there. None of the photos seems particularly interesting to me, but I like the format. Finally, we get two Music Videos. We find Muse’s “Neutron Star Collision” and Metric’s “Eclipse (All Yours)”. “Collision” offers another Muse song that sounds exactly like a Queen outtake; the video’s a mix of lip-synch bits and movie clips, though it’s more stylish than most. “Eclipse” also includes shots from the flick, but it tries harder to tell a story with its artist-specific shots. The tune itself is unmemorable, but at least the video is less by the numbers. The package also includes a DVD Version of Eclipse. Unlike most of these bonuses, it doesn’t appear on a separate disc. Instead, it plops the DVD on the flipside of the Blu-ray. I’m not wild about that presentation, but if it doesn’t bother you, it might be a useful addition. 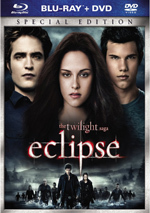 2010’s Eclipse keeps the Twilight train a-rolling, as the franchise continues to earn megabucks at the box office. I’m sure this flick will delight established fans of the series, but I don’t think it’ll do much for less dedicated partisans. The Blu-ray provides very good picture and audio along with a mostly strong collection of supplements; only a meandering commentary from the lead actors misfires. Eclipse rebounds from the dull New Moon, but it’s still too slow and draggy to be a real success.